Spokesman for PA chairman blasts US over decision not to refer to "Palestinian lands and the Golan" as "occupied" territory. Nabil Abu Rudeineh, spokesman for Palestinian Authority (PA) chairman Mahmoud Abbas, on Wednesday blasted the United States over its decision not to refer to "Palestinian lands and the Golan" as "occupied" territory. Earlier on Wednesday, US Secretary of State Mike Pompeo released the 2018 Human Rights Report, which notably referred to the Golan Heights as "Israeli-controlled" instead of "Israeli-occupied," and dropped the words "occupied" and "occupation" from everything related to Judea and Samaria and Gaza for the first time. In a press release, Abu Rudeineh said that the decision reflected the US administration's hostile policy towards the Palestinian people and was contrary to international legitimacy resolutions. He stressed that American terminology would not change the reality that “occupied Palestinian land” has existed since 1967, and that the "occupied Arab Golan" is an area under Israeli occupation in accordance with UN resolutions and international law. 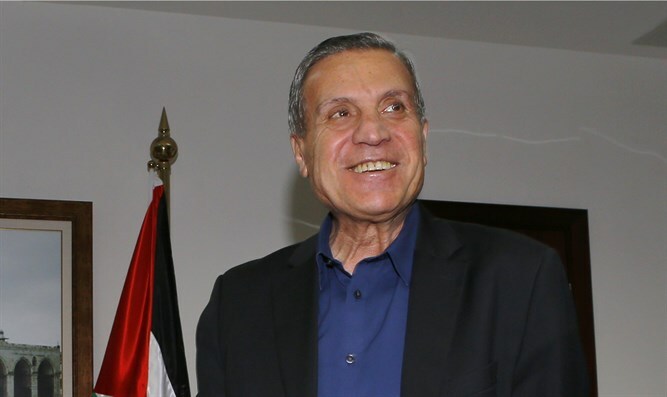 The US decision was made within the framework of a plan aimed at advancing the “Deal of the Century”, the political initiative to eliminate the Palestinian issue, said Abu Rudeineh. He stressed that despite all the conspiracies, the Palestinian people led by the PLO and Abbas will continue to stand firm and adhere to their fundamental principles until the establishment of the “state of Palestine” with eastern Jerusalem as its capital.